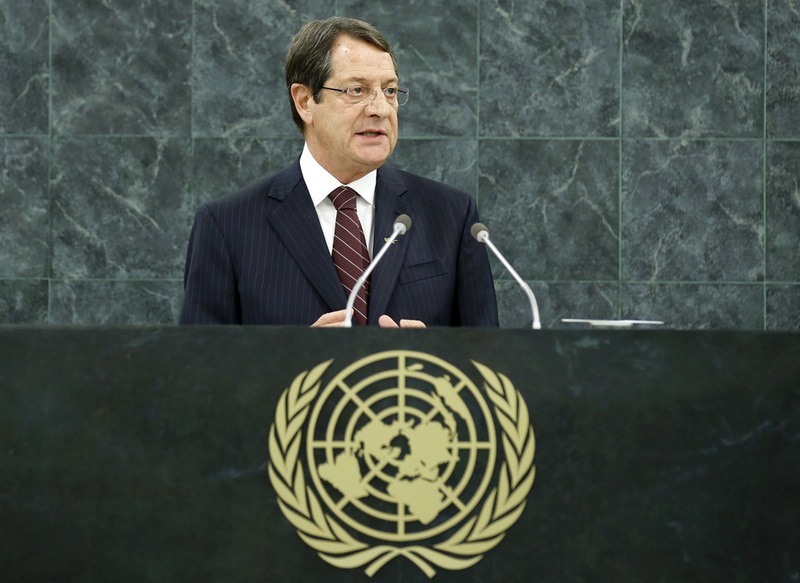 NICOS ANASTASIADES, President of Cyprus, expressed deep concern over recent global events that threatened the sovereignty of States, as well as regional and global security. He acknowledged that in such a world, it would be difficult to fully implement the core United Nations principles and values. “However, what is happening today risks to overthrow the current world order, calling into question the relevance and effectiveness of this international organization,” he stated. He said his country had been violently divided for nearly 40 years, despite numerous United Nations Security Council resolutions. He said it is his belief that the current status quo is unacceptable, and called on Turkey and Turkish Cypriot compatriots to work in partnership for the reunification of Cyprus. He welcomed Turkey’s decision to respond positively to his proposal to hold meetings with the negotiator of the Greek Cypriot community. He noted that he had submitted a package proposal that would include the return of the ghost city of Famagusta, under the auspices of the United Nations, and in line with United Nations Security Council resolution 550 (1984). Prior to the start of negotiations, he said it would be essential to agree that the solution adhere to the relevant United Nations resolutions, the high-level agreements, and would make Cyprus a bi-zonal, bi-communal federal State, with a single international personality, single sovereignty and single citizenship. He said the settlement should support Cyprus’ capacity as a European Union member State and address the issue of missing persons. He also stated that Cyprus could have a positive and stabilizing role in the Eastern Mediterranean, particularly with regard to combating terrorism, fighting the proliferation of weapons of mass destruction, and providing humanitarian assistance. Cyprus could also serve as a reliable and interconnecting bridge between Europe, North Africa and the Near and Middle East. He reported that Cyprus had assumed a leading role in bringing neighbouring countries together through recent hydrocarbon exploration in the Levantine basin. In regards to the Millennium Development Goals, he said that three of the eight goals had been achieved ahead of deadline, but much work remained. Cyprus had recently received unprecedented international attention due to the country’s economic crisis, but it was on the path to recovery and growth.